The most recent Annual Quality Water Report (CCR) is available at Town Hall. Please contact us for copies. It will also be published in the Lowndes Signal in June of each year. 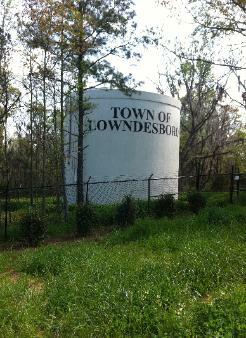 The Town of Lowndesboro Water System has approximately 379 customers and has been in operation since 1969. 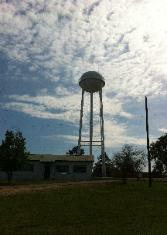 A new well was added to the water system in 2008, and the Town is currently working hard to make improvements in communicating with our customers and continuing to provide quality water service. 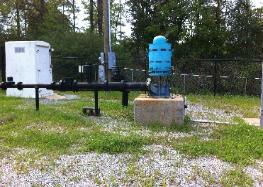 The new well is located at the Lowndes Academy Ball Field Site. This well is capable of producing enough water for the Town residents and the surrounding area. The Town of Lowndesboro received a grant from the Alabama Community Block Development Grants to install a new water storage tank which was put into service in March, 2012. The Town recently completed a new Water Extension from a grant from the Community Development Block Grant Small City Black Belt Funds to extend the existing Water System to include residents in the River Road and Tawassee Pointe areas. The residents of these communities have worked long and hard to achieve this goal. The Town of Lowndesboro would like to extend our gratitude for the hard work of the residents and their assistance in getting this project completed. We have added 100 new residences to the water system. The Town of Lowndesboro has an interconnection to the Pintlala Water System, and currently uses this as a back up for emergency water service. Please help us help you! If you see a leak, please immediately call Town Hall at 278-3434 with the location of the leak. If the office is closed, you will hear the emergency numbers to call. Make your payment, and make it Official! Please include the account number as shown on the bill.